The Money Tree is an age-old token of good luck and an invitation to good fortune. 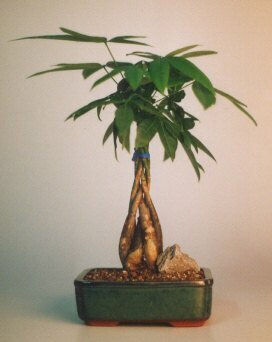 A braided tree trunk with up to five (5) unusual light green leaves that spread out along the top of each stem. Resilient and does not require much care. Hardy and extremely tolerant of low light and dryness. 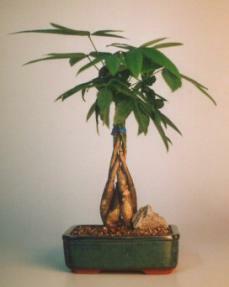 It is the most popular plant for "Feng Shui" because it creates positive energy ("Chi" or "Qi"). It brings prosperity and wealth to your surroundings and decorates your home with nature and good luck. Great for home, office, dorm or anywhere where natural light is not overly prevalent.